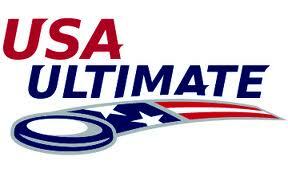 There are 4 days left until the East Coast tryout for the U.S. Worlds Team. The tryouts are being held in Washington D.C. where it promises to be a chilly weekend. For those interested… USA Ultimate posted a great article in anticipation of their West Coast Tryout which was held this past weekend in San Francisco. It details some of the expectations for the tryouts, what the coaches are trying to achieve in terms of team balance, and the adjustment abilities of the athletes to playing co-ed. One of the subjects stressed in the article was the importance of what the athletes have been doing in the off-season. Those that come into the tryouts in good shape will certainly have a leg up on those that have been relaxing for the last 4 months. That being said, my husband is excited about the coming weekend and looking forward to playing ultimate with some other great athletes. We’ll keep you posted when they figure out the final roster! This entry was posted in athlete, http://schemas.google.com/blogger/2008/kind#post, tryouts, USA ultimate, Worlds team by mlwattsupp. Bookmark the permalink.